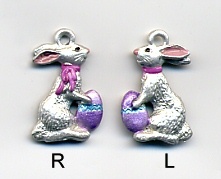 Easter Bunny charm. 7/16"x11/16". Select direction. Mother of Pearl - 3 Birds. 1+3/8"in size. For those who use these as cabochons, and glue them down, you can now order them "without shanks". 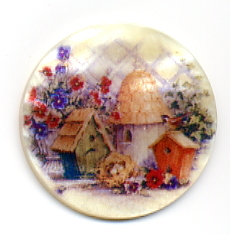 Mother of Pearl button w/Bell Roof Birdhouse. 1+3/8"in size. For those who use these as cabochons, and glue them down, you can now order them "without shanks". 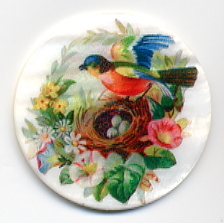 Mother of Pearl - Bird at Nest. 1+3/8"in size. For those who use these as cabochons, and glue them down, you can now order them "without shanks". 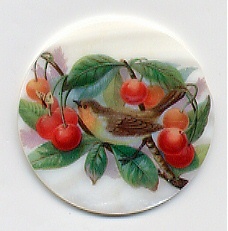 Mother of Pearl - Bird in Cherry Tree. 1+3/8"in size. For those who use these as cabochons, and glue them down, you can now order them "without shanks". 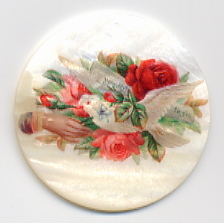 Mother of Pearl - Bird in Hand. 1+3/8"in size. For those who use these as cabochons, and glue them down, you can now order them "without shanks". 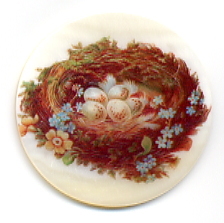 Mother of Pearl - Bird Nest. 1+3/8"in size. For those who use these as cabochons, and glue them down, you can now order them "without shanks". 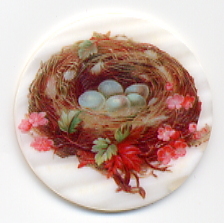 Mother of Pearl - Bird Nest w/Blue Eggs. 1+3/8"in size. For those who use these as cabochons, and glue them down, you can now order them "without shanks". 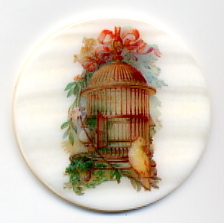 Mother of Pearl - Birdcage. 1+3/8"in size. For those who use these as cabochons, and glue them down, you can now order them "without shanks". Mother of Pearl - Bluebird. 1+3/8"in size. 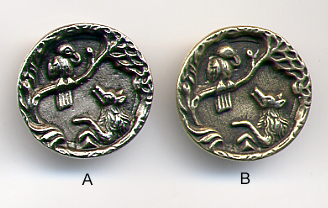 For those who use these as cabochons, and glue them down, you can now order them "without shanks". 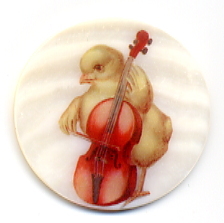 Mother of Pearl - Chick Playing Cello. 1+3/8"in size. 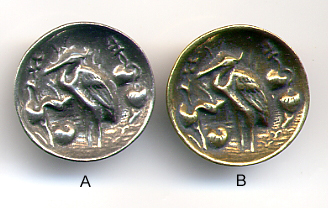 For those who use these as cabochons, and glue them down, you can now order them "without shanks". 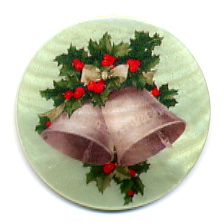 Mother of Pearl - Christmas Bells. 1+3/8"in size. 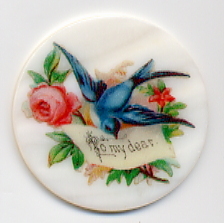 For those who use these as cabochons, and glue them down, you can now order them "without shanks". 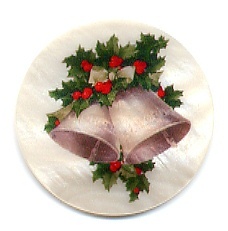 Mother of Pearl Christmas Bells. 1+3/8"in size. For those who use these as cabochons, and glue them down, you can now order them "without shanks". 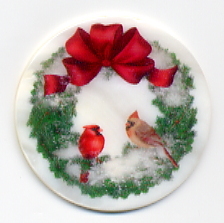 Mother of Pearl - Christmas Wreath. 1+3/8"in size. For those who use these as cabochons, and glue them down, you can now order them "without shanks". 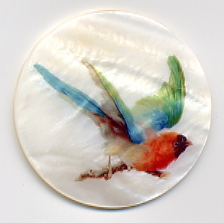 Mother of Pearl - Colorful Bird. 1+3/8"in size. For those who use these as cabochons, and glue them down, you can now order them "without shanks". 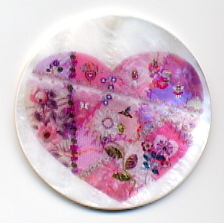 Mother of Pearl - Crazy Quilt Heart. 1+3/8"in size. For those who use these as cabochons, and glue them down, you can now order them "without shanks". 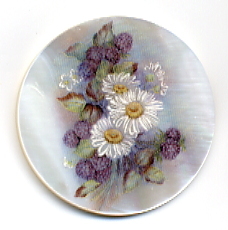 Mother of Pearl button w/Daisies and Blackberries. 1+3/8"in size. For those who use these as cabochons, and glue them down, you can now order them "without shanks". 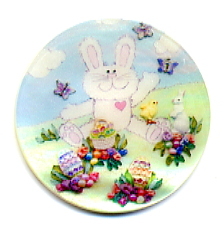 Mother of Pearl - Easter Bunny. 1+3/8"in size. For those who use these as cabochons, and glue them down, you can now order them "without shanks". 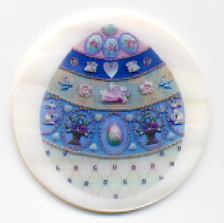 Mother of Pearl - Easter Egg. 1+3/8"in size. 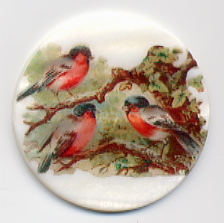 For those who use these as cabochons, and glue them down, you can now order them "without shanks". 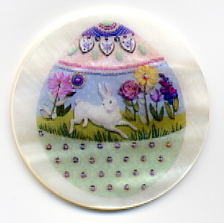 Mother of Pearl - Easter Egg w/Bunny. 1+3/8"in size. For those who use these as cabochons, and glue them down, you can now order them "without shanks". Mother of Pearl - Eggs. 1+3/8"in size. For those who use these as cabochons, and glue them down, you can now order them "without shanks". 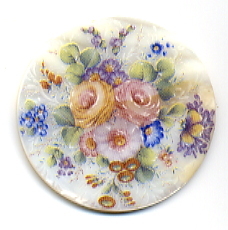 Mother of Pearl button w/Floral Design. 1+3/8"in size. For those who use these as cabochons, and glue them down, you can now order them "without shanks". 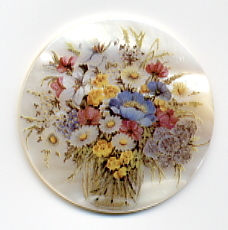 Mother of Pearl button - Flower Vase #1. 1+3/8"in size. For those who use these as cabochons, and glue them down, you can now order them "without shanks". 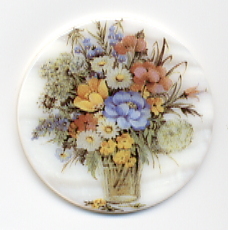 Mother of Pearl button - Flower Vase #2. 1+3/8"in size. For those who use these as cabochons, and glue them down, you can now order them "without shanks". 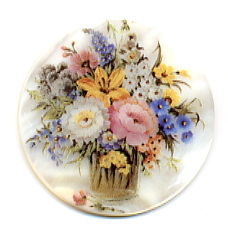 Mother of Pearl button - Flower Vase #3. 1+3/8"in size. For those who use these as cabochons, and glue them down, you can now order them "without shanks". 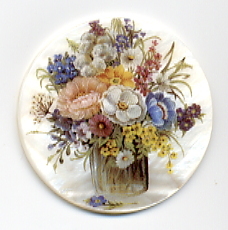 Mother of Pearl button - Flower Vase #4. 1+3/8"in size. For those who use these as cabochons, and glue them down, you can now order them "without shanks". 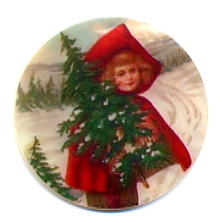 Mother of Pearl - Girl w/Christmas Tree. 1+3/8"in size. For those who use these as cabochons, and glue them down, you can now order them "without shanks". 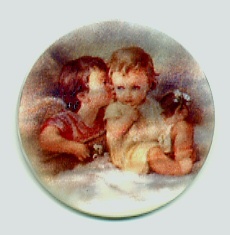 Mother of Pearl button w/Guardian Angel. 1+3/8"in size. 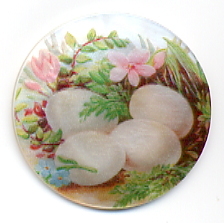 For those who use these as cabochons, and glue them down, you can now order them "without shanks".